Broken Ignition Key Extraction in San Diego! There are a few things in life that no one wants to experience. Having your key break in half within the ignition is one of them. You get into your car, try to start it but something is wrong: you feel the key stuck and, try as you might, it would not move. Reluctantly, you resort to somewhat cruder measures. You shake it a bit, but it still would not turn. You shake it a lot and then you hear that unwelcome sound. SNAP! The ignition key breaks in half, one half remains in your hand while the other remains firmly lodged within the ignition. When such ordeals befall you, there is really only one sensible course of action – contacting Spark Towing’s 24/7 available call center. Offering a highly rapid ETA, one of our reliable and professional locksmiths will arrive at your location and quickly take care of business. Dial now (619) 497-0224 for the quickest broken ignition key extraction service in San Diego! Two of the most important resources we have are time and money. 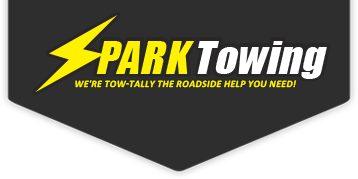 Getting Spark Towing to lend you a hand will save you those exact resources. Should an amateur try to extract a broken key from the ignition, further damage might be expected, which can even result in the need to replace the entire ignition switch. However, when contacting our expert locksmiths, you know they will get the work done quickly, professionally, and at an affordable price! Any time of the day, you can count on us. Call us 24/7, customer satisfaction guaranteed. When in need, do not hesitate! Call us now at (619) 497-0224 for broken ignition key extraction services and many more towing and roadside assistance solutions in San Diego!